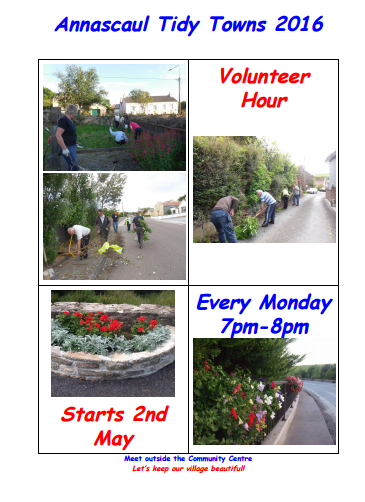 Volunteer Hour, Annascaul Tidy Towns. Annascaul Tidy Towns, Volunteer Hour. Why not join us for a little work and great fun. Help us keep our village looking beautiful!